Once again, my addiction to mock off-seasons has hit as soon as ever. I always say, I'm not saying this is what's going to happen. Will it be correct, no. I have hit on a decent number of picks over the years (Munnerlyn, Hill and Jennings in FA, Waynes, Patterson, Hodges, Harrison Smith and Floyd (at the time I had us getting Floyd in the 2nd before he shot up draft boards)) but it's next to impossible to ever get these right but I know you guys enjoy the read. I look to assess our current needs as best as I can and keeping it as realistic as possible. I must say, I do a lot of research on these guys and if you look at my previous mocks, many of the guys I have us selecting may not be making an impact for us but they are making a big impact elsewhere. Last year, I had us getting Devonte Parker, Denzel Perryman, Tevin Coleman, Tre Jackson, Jamon Brown, etc. All who are either starting or making some noise as rookies this year. I also had us getting Zach Zenner in UDFA and he made some noise in Detroit. C- John Sullivan- Injuries are starting to become an issue. I almost had him retiring but I held off. However, we find a way to make him for affordable. LT- Matt Kalil- Maybe? We could hold off for now, who knows. Zimmer mentioned looking into Rey last offseason but he was a restricted FA. 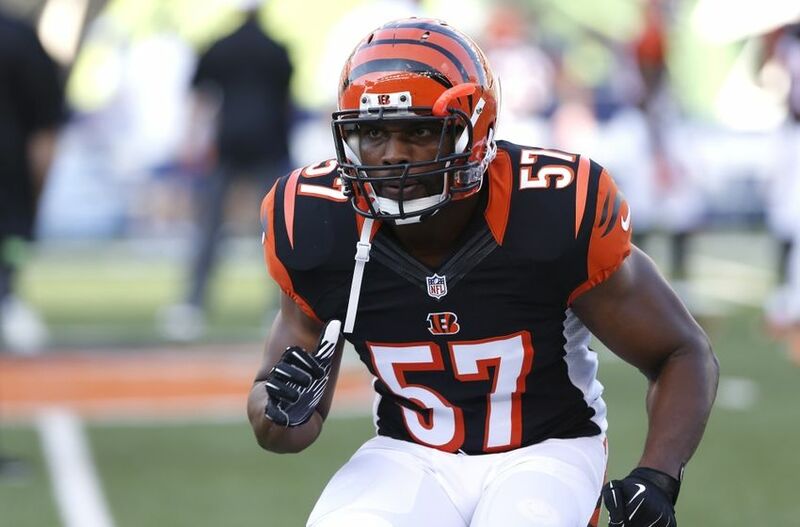 Now he is an unrestricted FA and played very well under Zim in Cincy. He can plug in at WLB along with Greenway. Also provides depth at the LB spot which we need right now. Allen was a 2nd round pick by KC that has had a few injuries but when healthy, has been very effective. If I'm Spielman, I'm looking to get a reasonable amount of potentially good offensive lineman and letting the coaching staff decide who are the best 5. Allen could very well be one of them. He can play BOTH guard and tackle and provides us with a young versatile OL. He's only 25 years old. Some might not like this signing but I love it. 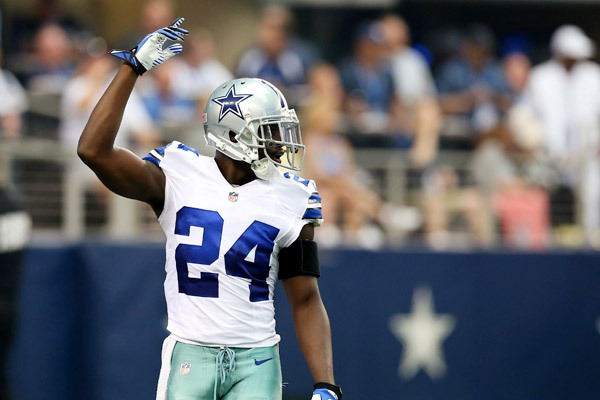 Claiborne has been labeled as a bust but we all know he has the tools to be a good CB. And guess who the CB GURU is?? Coach Zim. Claiborne provides great depth. Newman played well this year but he's still not someone you can rely on going into the following season. Waynes will take over as the starter opposite Rhodes but if Waynes or Newman ever went down, our depth would be awful on the outside. Claiborne gives us that depth. I truly believe Claiborne could be a guy that revives his career under Zim. He takes over backup duties behind Teddy. With Hill retiring, we need a veteran to fill that void. -Cravens is this years Deone Bucannon who has been an absolute beast in Arizona. Zim loves agility and versatility and Cravens has every bit of it. He can play safety and cover, and he is dangerous when blitzing and against the run. A guy like Cravens can fill a SS and WLB weakness all at the same time. It is exactly what Bucannon did in Arizona. I just have a feeling Zim will fall in love with this kid. Watch the highlights and you'll understand. 6’5”, 325 pounds. 54 games played in 4 seasons. 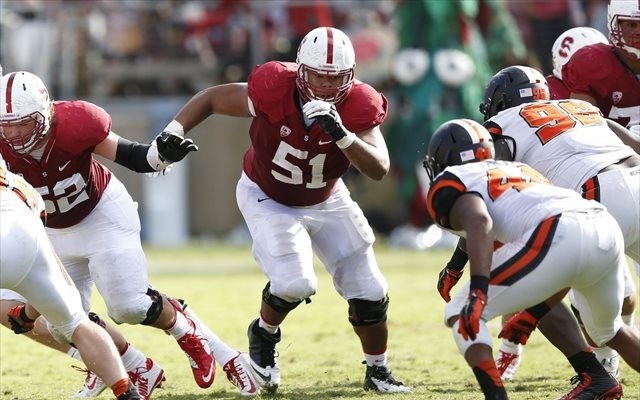 Team Captain, 1st-Team All American, and Outland Trophy (best IOL in the nation) winner. Ate seven pieces of 24-ounce prime rib at 2012 Lawry’s Beef Bowl He's got Yankey's credentials with much more strength and athleticism. Provides a lot more depth along the OL and can eventually start for us. Good luck pronouncing this name However, he's a 2nd team Big 12 selection and an absoulute mauler. Has a big time mean streak to him that we could use on this OL. He will compete for backup duties at both LT and RT and could be a potential starter down the road. 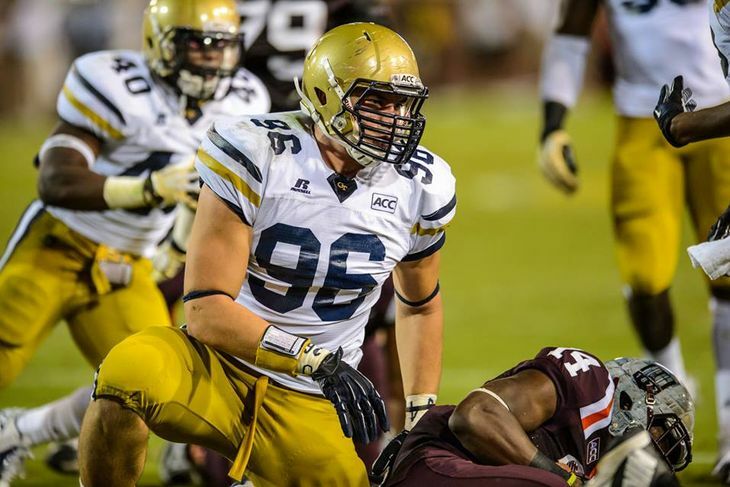 Gotsis can play both spots and will provide more depth along the defensive line. Conner is a Shaq Thompson type player that could do it all but suffered a knee injury this year. He will compete in camp. Anderson is strong against the run and has upside as a pass rusher. ....Hope you guys enjoyed the read!!! You say 'Spielman continues to go after youth and limit spending in free agency, but not only does it not seem like that has been his MO to this point, it also doesn't seem like what you present in your mock offseason. Jordysghost wrote: You say 'Spielman continues to go after youth and limit spending in free agency, but not only does it not seem like that has been his MO to this point, it also doesn't seem like what you present in your mock offseason. How do you figure?? We sign a good to average LB and OL, a "bust" CB and a backup QB. None of them will cost enough to say so. If anything, Rey will be the "priciest" FA which would only be a couple mill a year. Bottom line is, we didnt overpay a "big time FA" and had nothing more than a 3 year deal. Also, every FA is well under 30 except a veteran QB which we would need if Hill retired. And how has it not appeared that way. Of course he is going to find some veterans along the way but he still goes after younger players in FA. So yeah, Spielman not over-spending and going after youth in FA is exactly what I projected. Love reading these! Alsays good to see how they progress over the offseason. For our 1st round pick i quite like Kearse ?FS). I would have him and Sendejo competing in camp for the FS role but would obviously Kearse wins the position. You don't think they draft or sign another safety? I think they need more OL help than that... I would not mind seeing them trade a pick or two to someone for an established OL. I've never been a big Sullivan fan despite his high rankings, and Loadholts injury is a really bad one for an lineman to have. Dallas is going to have to start getting younger soon, so I can see them interested in trading one of theirs for a decent pick. I like the Moore and Claibourne signings though. I salute the amount of work and effort you put into these, it is not easy to make a post with that many photos and that much research. I disagree with your 1st round pick. LB depth is an issue, but OL depth, especially interior OL depth is the biggest weakness of the roster. I think they've reached critical mass and will likely sign somebody in FA as well as invest a high draft pick. I do admit that finding a stud to replace "the other safety" would be tantalizing. That being said, this might be year where contrarions have the upperhand as OL play has been abyssmal in the NFL so chances are FA guys are going to be OVERPAID and there may be a run in the draft. Also, we should not underestimate how much of a step up getting Loadholt and Sullivan back will be. We have to keep in mind that Harris is technically a starter and he is a rookie. Functionally our starting line was down 3/5 starters given the experiment at RG. From that point of view the performance isn't entirely a surprise. I wonder if the "market" I mention above will lead to Kalil getting a contract that everyone will complain about for years to come. IMO, an interesting debate is whether they go OG or OT early. I think getting athletic at Guard is important, but given the way Clemmings has played it seems like adding help at Tackle could be important. My sense is they'll try to go guard early and tackle later. Another great job, PHP! I love these mocks that you do. Fascinating stuff. I don't really disagree with any of the draft picks. Not at this point, anyway. And I understand why you chose the picks that you did. If the Vikings can get Tyler Boyd, that would be great. But I imagine they might have to trim their WR roster. I just don't see them keeping seven WRs around. And I wonder if that would affect Mike Wallace, given his contract. Even if they restructure his deal, the Vikings will be paying big money for a receiver that doesn't seem to have great chemistry with Bridgewater. losperros wrote: Another great job, PHP! I love these mocks that you do. Fascinating stuff. That is very possible that they don't keep 7. This mock is no indication of who makes the final 53. Wallace could very well be cut. The Breeze wrote: You don't think they draft or sign another safety? Cravens plays safety. They then have Smith, Harris, Sendejo and Exum. How many safeties do you want? PurpleMustReign wrote: I think they need more OL help than that... I would not mind seeing them trade a pick or two to someone for an established OL. I've never been a big Sullivan fan despite his high rankings, and Loadholts injury is a really bad one for an lineman to have. Dallas is going to have to start getting younger soon, so I can see them interested in trading one of theirs for a decent pick. .....With this you also have plenty of versatility. Allen can play both RG and RT. Berger can play both OG and C. Garnett can play both RG and LG. Vaitai can play both LT and RT. mansquatch wrote: I salute the amount of work and effort you put into these, it is not easy to make a post with that many photos and that much research. Pondering Her Percy wrote: Cravens plays safety. They then have Smith, Harris, Sendejo and Exum. How many safeties do you want? I didn't realize he played safety....I was viewing him primarily as a linebacker. I would like to see Sendejo replaced vs re-signed if at all possible. What on your feelings about drafting a center....even if Sully appears good to go? I know having Berger can offset the need for another season perhaps.